Mrs. Palmer serves as the Director of Property Services managing many levels of support for Stirling’s Property and Asset Management divisions. As Director of Property Services, she is responsible for overseeing the hiring, training, and supervision of Stirling’s Property Managers, as well as property services support and maintenance staff. In addition, Mrs. Palmer continues to manage the day-to-day operations of multiple retail and office properties throughout the region. She also played a key role in the development of some of Stirling’s premier properties, including Hammond Square Shopping Center and Fremaux Town Center. 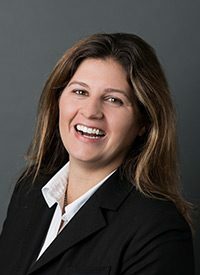 Having joined Stirling Properties in August of 2006, Mrs. Palmer has over 10 years of property management experience in commercial power and strip shopping centers, Class A & B office buildings, and development finance. Mrs. Palmer received her bachelor’s degree in Finance and a master’s degree in Business Administration from Southeastern Louisiana University. She is actively involved in the Greater Hammond Chamber of Commerce and supports several Hammond area organizations.